 The word Caldera is strongly related to a volcanic eruption/explosion. Apart from being reminiscent of the Santorini volcano, we wanted it also to be the symbol of an explosion of knowledge and of the strong emotional bonds that can be created between different people around the world that share the common passion to tell stories. Although a stills picture is usually considered to be a different form of art from the moving image, we believe that the arts of photography and of cinematography are strongly interlaced and that mixing them can only enhance the storytelling process and the ability of an individual to tell a story with impact. Photographers​ are starting to look into the moving image with more interest than a couple of years ago. Slideshows, cinemagraphs, animated gifs and, even small videos, are just a small proof of this. On the other hand, cinematographers use the same rules from photography to frame their shot, or try to break these rules intentionally in order to create tension. They also include stills images in their editing workflow to create a story with more impact. The idea behind this workshop is to provide valuable knowledge and inspiration by interacting with some of the top professionals in each of the two fields (stills and video), some of whom may also do both, alternatively. Our vision is to provide a learning experience that goes far beyond formal speeches or traditional classroom presentations. You will have the chance to attend shooting sessions by the speakers, where they will present their philosophy and their approach and will provide you with valuable input for your own shooting sessions. You will be able to interact closely with these people on a more informal level. You will get shooting time with couples in amazing locations so that you can enrich your portfolio in the island of your dreams. You will have portfolio review sessions that will help you grow and boost your creativity to the next level. You will be discover the rough, dramatic yet elegant, beauty of the landscape of the Santorini archipelago. Please note that the number of the workshop participants is limited, so places will be filled on a first come first served basis. Sign up and enjoy the journey! Santorini, so named after the small chapel of Aghia Irini (or Saint Irene) by the Venetians, is enduringly popular with travelers across the globe, having risen to fame for the unique beauty of its rugged landscape and distinct traditions. But more than being just one island, Santorini is in fact an archipelago with a number of smaller isles just across the water from the main island of Thíra, where whitewashed villages cling to the coastline. The group of islands known as Santorini is located at the heart of the Aegean Sea and comprises five distinct islands: Santorini (aka Thira), the main island; Thirasia and Aspronisi at the periphery; and the two Kameni islands at the center. Santorini’s half-moon-shaped bay is the center of the caldera (a cauldron-like volcanic depression), which collapsed after a volcanic eruption during the Minoan civilization in the 17th century BC, eventually leading to their decline. Indeed, the eruption was so massive that it seems to have caused significant climate perturbations; it was possibly one of the biggest volcanic eruptions on Earth and this may have inspired the legend of Atlantis. This large eruption shaped the caldera we know today, which is considered one of the most beautiful in the world and which attracts hundreds of thousands of visitors every year, who come to admire the splendor of the sunset from Oia and the stunning white-washed villages perched atop Santorini’s reddish cliffs. Santorini is one of the top wedding destinations. Perissa is a coastal village, located on the southeastern edge of the island, 13 kilometers away from the capital. It lies on the south base of Mesa Vouno mountain and is believed to be the place where the ancient city of Elefsina used to stand. The reason most visitors come to Perissa during touristic season is to take pleasure in the extraordinary beach, which is characterized by deep, dark blue waters and black lava sand. On the summit of the mountain Mesa Vouno are the ruins of Ancient Thera town, a prominent archaeological site with various eminent monuments. It is worthy, apart from its historical importance, for the fabulous views of Perissa and Kamari villages. We will stay in the Drosos Hotel https://drossoshotel.weebly.com/. Located just a few steps away from the longest black sandy beach of Perissa, the hotel offers a cozy and stylish accommodation with the traditional Cycladic touch. Accommodation will be in double rooms. There is the possibility of accommodation in single rooms at an extra fee. The venue has the necessary infrastructure for our presentations and talks. Breakfast, lunch amd dinner are included in the price. Kostas and Aris, aka Arte Cinematica, is the team behind this adventure. There are so many workshops and camps around the world for wedding photographers and filmmakers. But we want to host a different event in our country. Something that would be reminiscent of the nature of our homeland, related to the Cyclades and to the wild yet elegant beauty of the Santorini Caldera which is one of the most famous wedding destinations worldwide. We want to offer a valuable hands on experience for the participants with positive impact on their creativity. We believe that while shooting with couples on location, not only you have the opportunity to be more creative and get awesome pictures for your portfolio, but you get to encounter practical issues that you can discuss with your mentors and colleagues, you can get new feedback and be inspired. Moreover, we are hybrid shooters and we believe that photography and cinematography are complementary arts in storytelling and that one can benefit from the other. That is why we try to bring together photographers and filmmakers from around the world to create an awesome group, to stimulate discussions and exchange of knowledge and to investigate new creative paths that may help you find your unique character and particular style as storyteller.